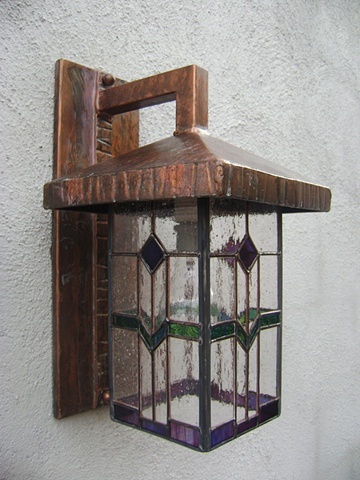 Here is a project Jason did together with Goldbaum Stained Glass. The light frame itself is completely built by Jason including wiring features forged elements . The finish is a faux copper treatment.